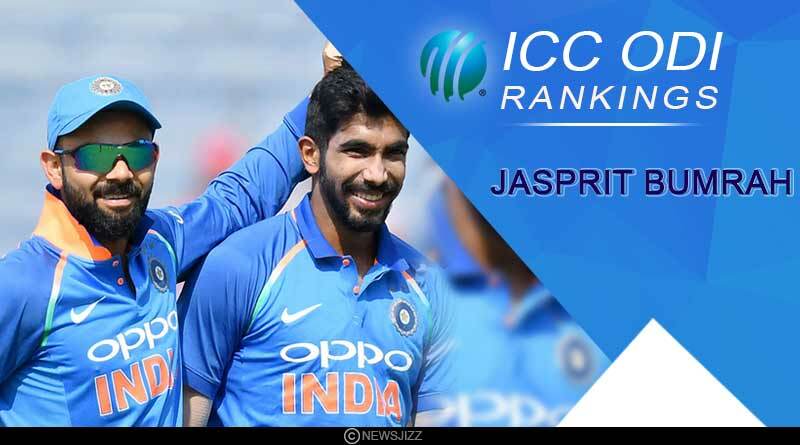 The Indian cricket team continued to maintain its supremacy in the latest edition of the ICC ODI rankings with the mercurial Virat Kohli and ever reliable Jasprit Bumrah remaining at the helm for the rankings for batsmen and bowlers respectively. On the back of two record-breaking wins against Australia and New Zealand, results that saw them script a golden chapter in their cricketing books, India made massive strides in the overall spots as well, moving to 2nd place in the ranks from their previously occupied third position. Having defeated both Australia and New Zealand on their own home soil, this winter has been extremely flourishing for India. They have been in effervescent touch, hardly taking a step wrong to down New Zealand 4-1 which was preceded by a 2-1 series win against Australia. 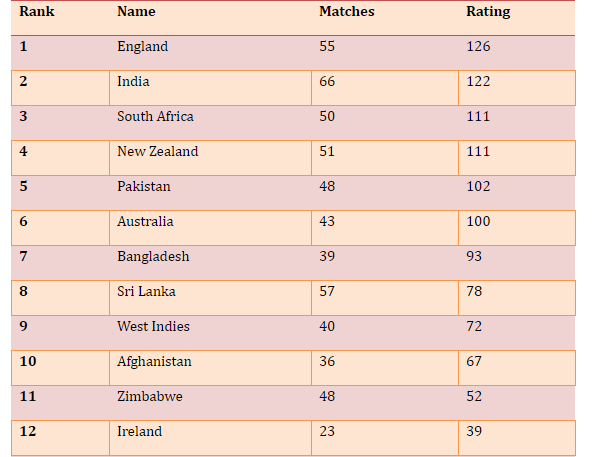 They now find themselves behind only England who is at the helm of the ranks with 126 ranking point. India’s next ODI test will come against Australia when they visit the country in February while England will face West Indies away following the culmination of their test series in which they currently find themselves 2-0 down. The West Indies ODI series has massive consequences for India with a defeat in the series meaning they’ll slip beneath India with the two sides separated by just 4 points as of now. If West Indies can put down England 3-2, England will drop to 121 points seeing India take the number one spot. However, should England win the series 3-2, they would lose points but still stay on 123 points, a solitary point above India. In further team rankings, one of New Zealand’s most beleaguered performances of recent times saw them slip down a place to fourth with South Africa’s series win against Pakistan taking them above New Zealand to third. Both the sides have aggregated the same number of points at 111 but South Africa has been conferred with the points having placed one match less than New Zealand who has contested in a total of 51 contests. Rewarded for their exuberant showing for the country recently were fast bowler Bhuvneshwar Kumar who rose up six places to 17th and Yuzvendra Chahal who now sits at the 5th spot in the rankings for bowlers. 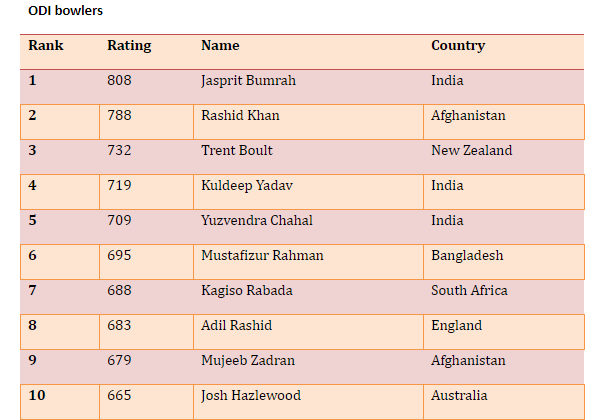 Bumrah sits pretty at the top despite not having played in both the series to emphasise how dominating he has been in international cricket with 808 points. From the New Zealand side, Trent Boult who was in exquisite nick, blowing apart India with his pace, massive deviations and absolute jaffers moved up to the third spot. Having acquired the highest number of wickets in the New Zealand vs India series, Boult reminded everyone why he is such a threat with his 5 wicket haul in the fourth ODI taking him to a mammoth 12 wickets throughout the 5 matches. In the batting front, Virat Kohli who missed the last 2 ODIs continued his illustrious form with a half-century in the first three matches to sit comfortably at the top with a total of 887 points. Rohit Sharma accompanies him at second to make a one-two of Indian players. For more articles like ICC ODI rankings: India continues its supremacy at the top, do Subscribe to our newsletter and follow us on Facebook, Twitter and Google+.